We stayed in 2 hostels with the girls on our recent 10-week trip. I must say I was not looking forward to hosteling with kids at all. My idea of a hostel was of loud, drunk and silly young people doing stupid things I would need to keep my kids from seeing. Well, I was wrong. It turns out I was very wrong. 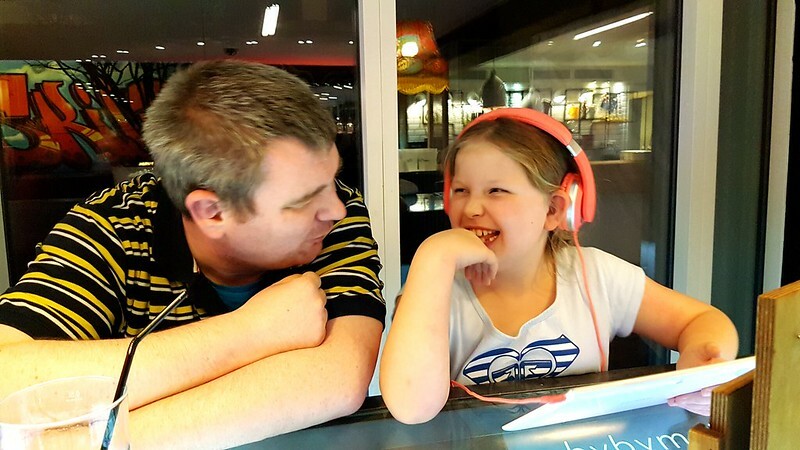 We may have been just lucky with the hostels we stayed in and we did have a private bathroom in our room but here are 6 reasons why I enjoyed the experience of staying in a hostel with kids and why I think it was great for the girls. 1. Kid Friendly Hostels allow them to talk to other people. After 8 weeks your parents and sister can become extremely boring. You already know everything about them and now they are just becoming really annoying. I watched as Willow talked to other people about what she had been doing, where she had been and they were sharing their own tales of where they had been. It was great to see her interact with people older than herself but on a level, they probably did not expect from a girl her age. 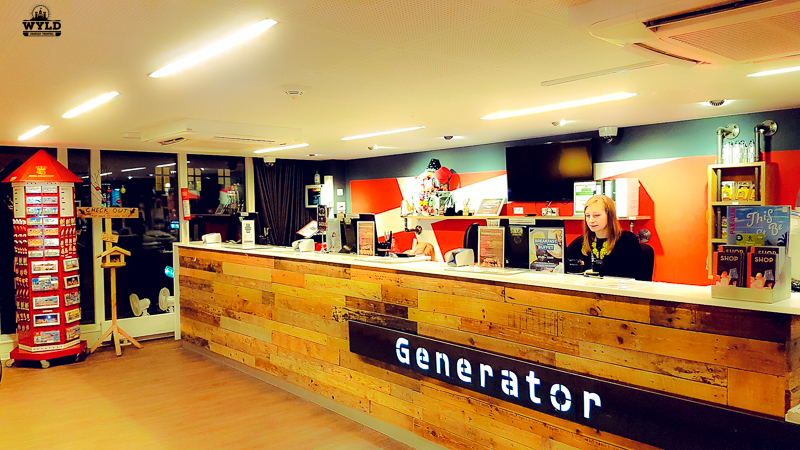 Our Hostel for kids recommendations: Generator Copenhagen. 2. They traded stories with people much older than themselves. Willow can strike up a conversation with most people but Marley struggles. It surprised me that they both were happy to talk to other people about where they had been and where they were going. This also allowed us to join in the conversation too. Which led to us talking about something other than Minecraft and YouTube! It also helped the girls think about places they would like to go when they are older. There were so many stories of places they had not heard of. They both had a great time learning about those places and they were even able to give some tips to other travellers! Marley chatting with David from England. 3. Other families were there. I was surprised at the number of families that were staying in hostels with kids and the age of their kids, some older families, some younger. There was a family with a small child that the girls fell in love with and they chatted and pulled faces at her. This gave them the break from all the adult conversations they had been having with other travellers and us. It’s great to see them just get down and play with another child for a while. It also made us have the conversation about when we started travelling as a family and the reason’s why we decided to travel with the girls. It is great to hear why they think we travel and how they feel about it. Staying at a friendly family hostel was not just something we were doing! Not only were their families but there were older people staying there as well. Both the girls were very impressed that some had just started travelling later in life. They happily sat down and talked about what their life had been like before they started to travel and why they had started at such a later age. Some had started after the death of a family member or they had decided to travel with their family as they had not been able to when they were younger It showed them how lucky they were to start at such a young age and your whole life can be filled with adventure not just in your younger years. 5. Hostel kids meet more nationalities. Both the girls have been to a few countries but for some reason, they were drawn to people where they had not been. They asked plenty of questions some extra cringe-worthy but most were happily answered…even the really cringe-worthy ones! This social interaction is only possible when hosteling with kids in a friendly environment. 6. There were things to do other than the iPads at friendly family hostels in Europe. One of the best things about the hostels are the games that they had or the games rooms. The girls played bocce, giant Jenga and at one stage even let loose on the dance floor! It was great to see them up and doing something rather than having their heads stuck in the iPads all the time when we were having some downtime downstairs. Yes, this staying in Hostels with kids was working out. Hosteling with kids, who would have thought. When in Munich we highly recommend Meininger Munich. Meininger Munich is great for hosteling with kids. Located close to the city centre and a direct train line from the airport. Meininger had family rooms with bathrooms, games room, chill out area, kids corner and a bar. Meininger has one of the best breakfasts you will come across. The guest kitchen can make staying in hostels with kids even more affordable. We loved this kid-friendly hostel. For more information and booking a Meininger hostel for kids click HERE. What does a Hostel look like? Hostels these days serve as a one-stop shop for all things tourist. Besides providing a room and place to say most will have their own tour booking service. You may be able to hire bikes and scooters from them. They will certainly have maps and all the information you need about local public transport, where to eat and what to see. A hostel for kids no such thing but a hostel for families are great. What does a hostel look like? In a nutshell, a hostel these days can be very much like any hotel. There will be a variety of rooms and facilities to choose from. There will be private rooms there will be dorm rooms, some hostel rooms will have private showers, others will not. For us, staying in hostels with kids were really positive. We found that everyone was respectful when there were kids around. Swearing was kept to a minimum and there were plenty of apologies if they didn’t realise. Maybe we were lucky with the groups staying there but for us and a sceptic like myself we would not hesitate in staying in hostels with kids again…just with my own bathroom! Kid friendly hostels do exist and are easy to find. We hope you enjoyed our hostel for kids article. Please find 2 more stories from Wyld Family Travel for reading enjoyment. Just click the image to be taken to the article. Wow, I am so surprised with your family experience in the hostel. I have heard far too many horror stories of the loud, drunk party goers puking in the hostel bathroom. So nice that your family had fun. Hi, Jen! Thanks for leaving a comment! I have heard many of those stories too and that is why I made sure we had our own bathroom in our room. With two young and very independent girls, we thought this was the best option for us. Hi Candy! The games room was a big winner for us and got the girls away from their iPad for awhile too! I think they are a great idea for families but like all things you would have to do your homework on where you were staying! Thanks for leaving a comment! Thank you! I was really surprised myself at the amount that the girls got out of it and there were many things that I did not think of. I think that you would have to really look into where you were staying to get the best out of it. If you ever do stay at a hostel I would love to know how your experience was! You would never think of a hostel first when it comes to family travel but you’ve certainly made me think differently. They’re definitely worth considering, I think. Hi Tania. I honestly thought Mark was mad when he told me and I was really worried about it but it turned out great for our family. We will be looking at staying in one on our next trip! We have never stayed in a hostel. I know my 2 youngest would love the social atmosphere. Hi Jennifer. It was a very social atmosphere. Thanks for leaving a comment for us! I’m glad you guys had a good experience in hostels with kids. I hadn’t thought about the fact that it would be nice for kids to be able to talk to people other than their parents while traveling. I always traveled with my mother as a kid, but I was very shy around strangers so I always preferred to just talk to her. I’m sure I would have gotten used to being around other people if I had needed to though. Hi Stella. My girls are not shy at all. I think growing up in a small country town where everyone knows us probably helps with that as well. It may have been a great way for you to help with your shyness and I hope one day soon you stay in a hostel and make plenty of new friends! Thank you for leaving us a comment, we really appreciate such a personal one. hostels are wonderfully sociable places, I’m glad the girls felt they could fit in & chat away – just like solo travellers! 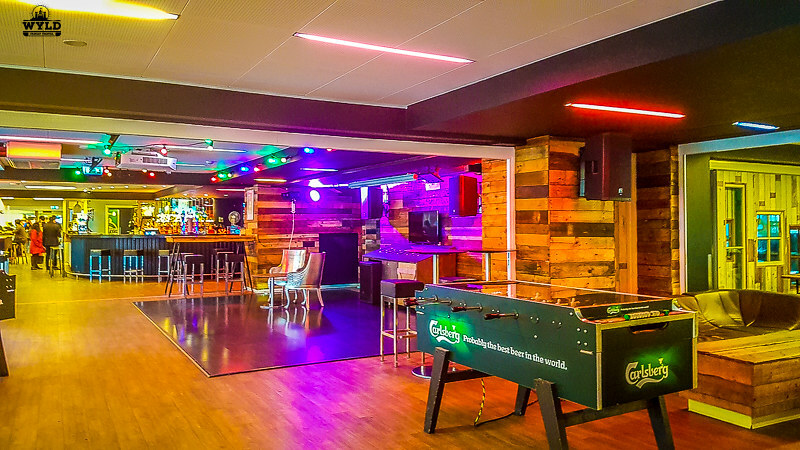 There are different types of hostels – party ones which definitely wouldn’t be appropriate for kids but others more like this with a wider mix of people. I tend to avoid the party ones but love staying in hostels like this to meet fellow travellers. Hi Claire. I would be avoiding them too! While I was really happy with the ones we stayed in I have heard plenty of horror stories. I think too it will give the girls the knowledge to pick a good hostel from a bad one when they finally get out there all by themselves (I will probably just sneak along just in case!) Thanks so much for stopping by! We love hostels too! They are usually cheaper, even with a private room for our family of 3. We’ve stayed in hostels in Copenhagen (Copenhagen Downtown Hostel) and the AF Chapman hotel in Stockholm and are staying in one in Florence next month. I would recommend all of those for families. My husband loves to talk to the people from other countries and my daughter loves the board games! I think it enforces the idea of sharing too. Hi Katie! I actually never thought of the sharing side of things either. The girls did have to wait their turns at the games tables. I am not sure that I would stay in one without our own bathroom but that may come as we travel by ourselves…one day anyway! Thank you very much for the tips on the other hostels too. I will put those names in my little tips book! I’ve never stayed in a hostel and I had never thought about it, most of the people that stay in them do not have kids in tow. Looks to be a win/win for everyone. Anytime something can get a kid to put an iPad down, it’s a good thing. Travel is so much more than traveling. It’s meeting new people, learning how other people live and experiencing new thing. Great tips and it looks like you got lucky with your own bathroom. Having more to do than just iPads is good for everyone, not just kids! Thanks for sharing what it was like…I wouldn’t have guessed it was such a good fit. I’ve never stayed at a hostel, although I’m aware that the stereotypes of a spring break-type atmosphere are no longer accurate in most cases. I also know that hostels are a great place to meet other travellers; that’s just outweighed for me by the fact that I’m a high-maintenance sleeper and I need the comforts and amenities of a hotel. I’m usually a solo traveller, and TBH I’m not sure if my priorities in accommodations would be different if I were travelling with children. It certainly seems a valuable experience for your kids to have been able to interact with a diverse set of travellers who had been to a wide spectrum of destinations. I’m pretty surprised as well and I’m glad you guys had an amazing time staying at the hostel. I have never stayed in one and I always had this notion that hostels are dirty and loud. Thanks for sharing your experience! Janna i am sure some are no doubt especially if it is dirt cheap. ‘Love the post and I totally agree! I tend to go to boutique hostels and they are absolutely amazing. ‘Not only is there a wealth of people for my shy teen boy to talk to, but as you say, games and entertainment, and just something other than mum and dad. And in many cases, we’re given the very best rooms. What not to like! I too had not thought about staying in hostels with kids. I’m very excited at the possibility now – I know my son would love meeting other kids and sharing adventures . Thanks so much for sharing your experiences! It sounds like it s a great exposure for the kids to meet other travelers from all angles of the WOrld. We totally agree. We stayed in hostels with our 7 year old in south africa and she had a ball. She ended up manning reception one day and like you say they see life and meet people. It reinforces our own zest for travel and our daughter certainly spoke to everyone and anyone who would listen. One guy said to us, i started off being like she’s really cute and then i stopped and actually listened and i realised she knows her stuff.